At Heritage Hills, community amenities aren't just nice to have – they play a key role in promoting a high quality of life. Whether it's kids on scooters, adults on bikes or dogs out for their daily walk, this is a community that loves to be active. 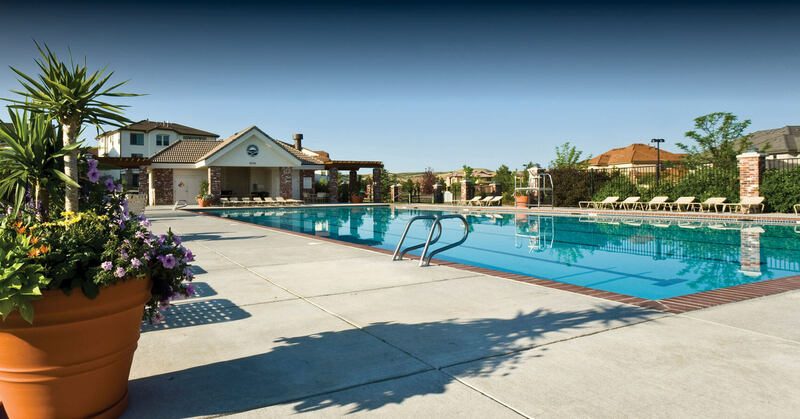 And living at Heritage Hills means an active lifestyle is easily within reach. The amenities within Heritage Hills provide something for everyone. There are four tennis courts, a basketball half-court, a mini soccer field and not one, but two junior Olympic-size pools. You'll also find parks and playgrounds for picnics and play time. Heritage Hills' sense of community is enhanced by security – created not just by the gated entrance but by the way everyone looks after each other. After all, it's easier to get to know your neighbors when you're gathered around great amenities and enjoying countless events together, like pool parties, Easter egg hunts, block parties, wine tastings, poker nights and more.